A simple way to keep track of data in a chart. Use vertical columns of "x's" to keep track of your data. 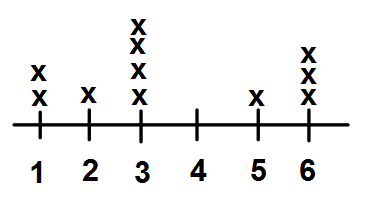 A table that shows the numbers involved and how many times (frequency) those numbers occur during the experiment.